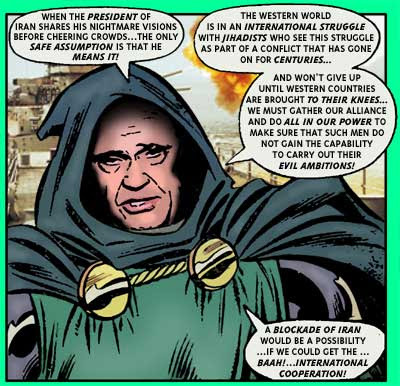 Blockading Iran...technically an act of war!? BAAH! Perhaps when the world is his, all such technicalities will be destroyed!